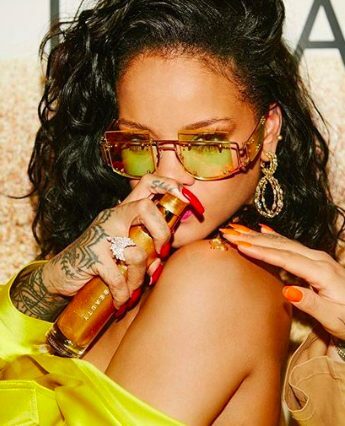 Once again proving that she’s a force to be reckoned with, Wonderland fave and all round megababe Rihanna just dropped her first Fenty Beauty collection. That’s right, not content with owning the music and fashion worlds, she’s now making her claim for the beauty throne too: we’re all for it. Making its European debut at Harvey Nichols this morning, the product line-up is, we’re all hoping, Rhianna’s secret to her own flawless complexion. Her self-described “go-to method for years”, the collection contains everything you need for that flawless finish including foundations, highlighters, brushes and more. As Riri concludes, “The Fenty face was created for women of all skin tones, of all personalities. These steps are key to starting your makeup, no matter the look you’re going for.” The absolute dream, no?